There are those of us who are naturally flexible. And then there are those of us who are not. I tend to fall in the later camp. And I like to complain about it. However, to be honest, I’ve never made a regular go of stretching. Probably because I’m not good at it and this phenomenon happens. But I know it’s good for me — it reduces risk of injury, increases range of motion, can reduce pain, and helps us stay strong and flexible, not to mention the fact that it’s a great opportunity to practice mindfulness. I really, really should make it a regular practice. 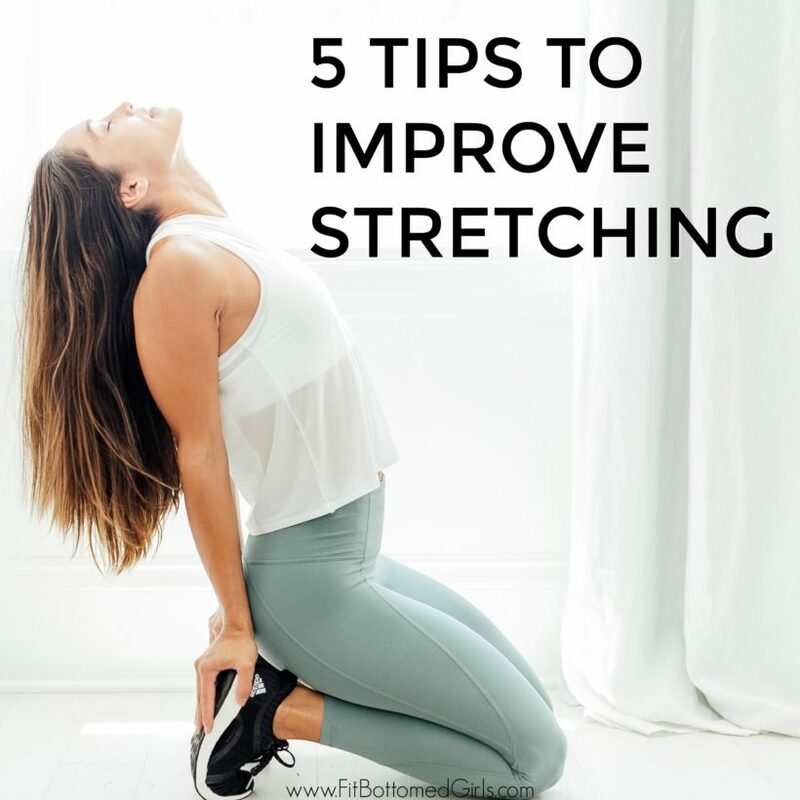 Which is exactly why I am loving these tips from Charlee Atkins, CSCS and founder of Le Sweat, on how to not only improve stretching, but also how to make it a habit. Because we all know how powerful habits are! 2. Set a goal. Each stretch should be held for at least 30 seconds, but try to work up to 2 minutes per stretch. 3. Break it up. Do 4 minutes in the morning for your upper-body stretch and 4 minutes at night for your lower-body stretch. The iPhone timer is perfect for this. 5. Stretch while you wait. Stuck on hold on the phone or waiting for water to boil? Perfect time to stretch. Glad to see a post about the importance of stretching. I stretch before and after a workout which can be a little arduous at times, but after a couple of injuries I know it’s definitely worth being patient with the time it takes to stretch properly. Some good tips to turn stretching into a habit here – a good stretch definitely doesn’t need to be confined to the gym! Gald i found your blog. I always think of how to properly do the stretching. I will bookmark your blog to get new tips.